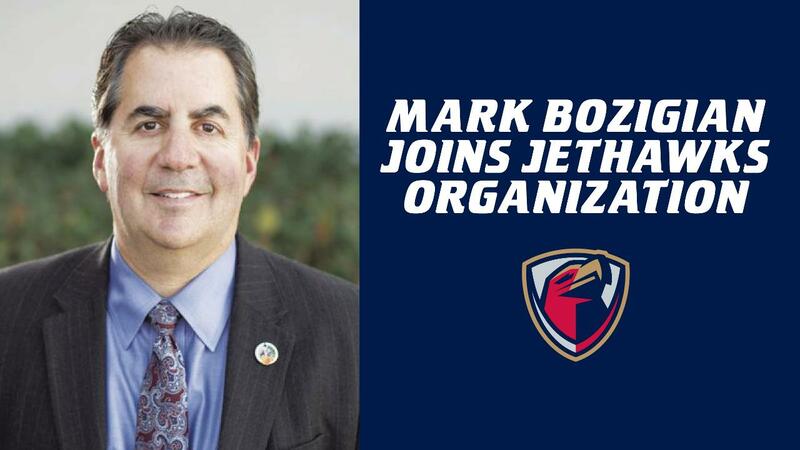 The Lancaster JetHawks are thrilled to announce the addition of Mark Bozigian, as a Special Advisor for the ball club. For the past eleven years Bozigian has served as the Lancaster City Manager, during which time he worked with the City Council and Staff on many projects and initiatives that improved the City of Lancaster. Having recently stepped away from the City's top staff leadership position, the Antelope Valley native will remain involved in the community; including his new role with the JetHawks. Lancaster, CA - The Lancaster JetHawks are thrilled to announce the addition of Mark Bozigian, as a Special Advisor for the ball club. For the past eleven years Bozigian has served as the Lancaster City Manager, during which time he worked with the City Council and Staff on many projects and initiatives that improved the City of Lancaster. Having recently stepped away from the City's top staff leadership position, the Antelope Valley native will remain involved in the community; including his new role with the JetHawks. "We could not be more excited to have Mark joining our team," stated JetHawks President, Andy Dunn. "There are few people who better represent all the great things of the Antelope Valley than Mark Bozigian and we are truly fortunate that he has decided to join our organization." "This is a dream come true," stated Bozigian. "I've seen first-hand the positive impact the JetHawks have had on our community over the last twenty plus years and I truly believe the best is yet to come for the JetHawks organization. As a die-hard baseball fan, I can't wait to embark on this next journey of my professional career." The Lancaster JetHawks start their 2019 campaign at home on Thursday, April 4th against the Modesto Nuts. Group tickets and ticket packages are available now at JetHawks.com or by stopping by the JetHawks offices located at 45116 Valley Central Way in Lancaster.